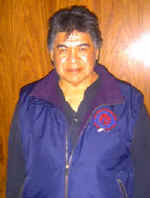 Floyd Edwards coast salish artist, self taught in the art of carving. Each design is of Floyd’s own creation while still keeping with the traditional carving principals. Floyd offers both painted and unpainted versions of his carvings as seen below. 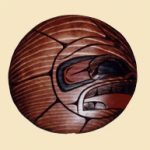 Each carving is made from yellow cedar, one of the more malleable woods of the Pacific North West Coast. Floyd continues to bring a continuous diversity of designs of coastal animals seen around his homeland.